Synopsis: A Canadian nurse travels to Haiti to care for the wife of a plantation owner who may have fallen prey to a voodoo spell. The visual sophistication and brooding atmosphere of I Walked with a Zombie is completely at odds with the lurid title that was forced on its producer Val Lewton by RKO executive Charles Koerner, a man who firmly believed that memorably exploitive titles was a sure-fire crowd magnet. 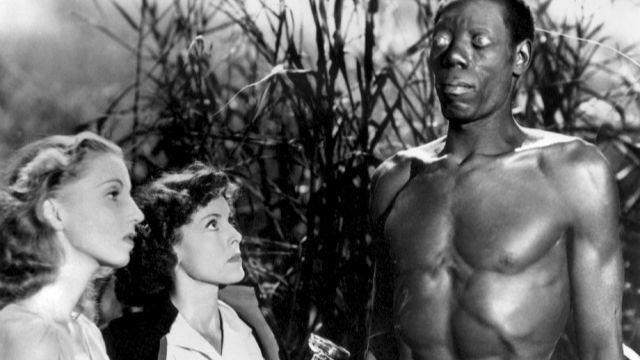 Set in Haiti, the voodoo hotspot of the Caribbean, it’s based on a short story by Inez Wallace. Genre hack Curt Siodmak produced a potboiler adaptation of Wallace’s story which was then refined by Ardel Wray and Lewton into a bizarre but effective variation on the plot of Charlotte Bronte’s Jane Eyre, and by doing so they lent an unlikely touch of class to a horror sub-genre which, with only a handful of titles to its name, was already firmly entrenched as a home for cheap exploitation flicks. 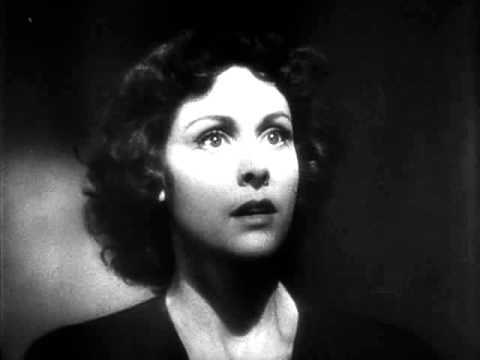 Frances Dee (An American Tragedy) plays Betsy Connell, a Canadian nurse who travels to Haiti to care for plantation owner’s wife Jessica Holland (Christine Gordon), a svelte but mournful beauty who floats around in flowing gowns after being struck down by a mysterious illness which has left her with no will of her own. Any romantic notions young Betsy might have about the romance of the Caribbean are swiftly dispelled by Paul Holland (Tom Conway – Cat People, Peter Pan), Jessica’s suave but morose husband who, on the starlit sea voyage to the island, points out that the beauty Betsy sees in jumping fish and glowing coral is actually a scene of terror and decay. “There’s no beauty here,” he insists. “Only death and pretence.” It’s a statement which sets the tone for the rest of the movie as Betsy slowly discovers that the calm, polite environs of the Holland plantation, which the married couple share with Paul’s half-brother Wesley Rand (top-billed James Ellison) and their mother (Edith Barrett – Jane Eyre, The Swan), provides a flimsy front for a host of seething tensions and resentments. However, things come to a head when Betsy turns to voodoo in the hope of curing Jessica after more conventional treatments prove futile. Val Lewton brings a taste of cultured elegance to I Walked with a Zombie which somehow enhances the moody atmosphere we might expect it to diffuse. Although filmed on a studio set, the film makes wonderful use of its story’s Caribbean location and cloaks it in a veil of ambiguity which generates an enormous sense of unease by provoking the audience and their heroine into questioning everything and everyone. In I Walked with a Zombie, director Jacques Tourneur skilfully invokes more dread from a simple shot of one man playing a guitar than others could squeeze from a battalion of monsters. As it is, the only ‘monster’ we do see is the lanky, bug-eyed Carrefour (Darby Jones), whose blank expression and sightless eyes remain one of vintage horror’s indelible images.